For many auto upholstery shops, headliner repairs are a steady and secure source of income. The jobs are usually easy, don’t take more than a few hours to complete and provide great margins. Of course, most headliner repairs aren’t very exciting. But when talented trimmers and adventurous clients come together, anything can happen. 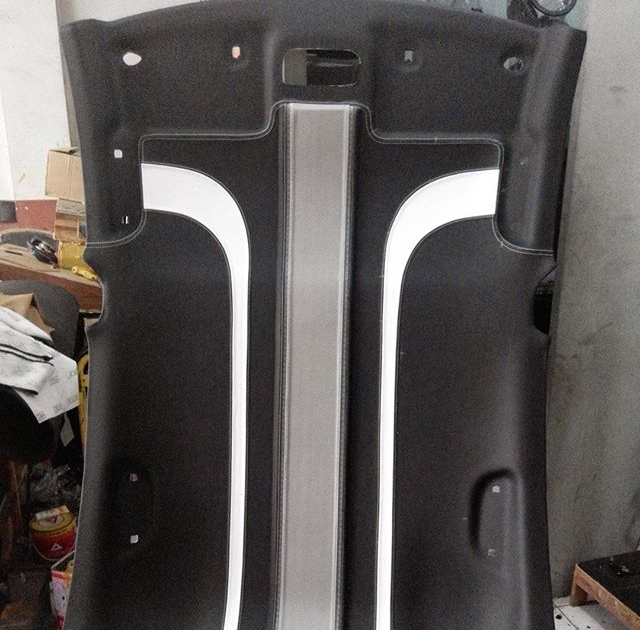 In fact, some trimmers can transform a boring gray headliner into a jaw-dropping work of art. 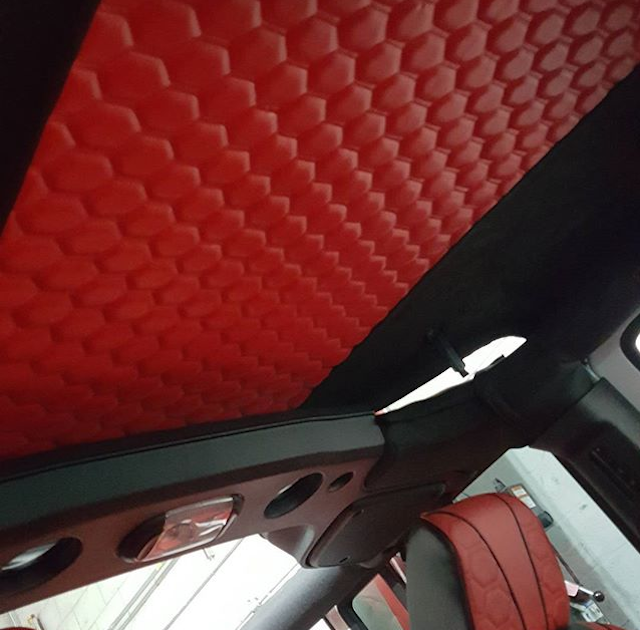 This two-tone headliner by @djdesigns looks phenomenal. The diamond-studded strip that starts from the sunroof shade and goes back to the rear window really ties the interior together. 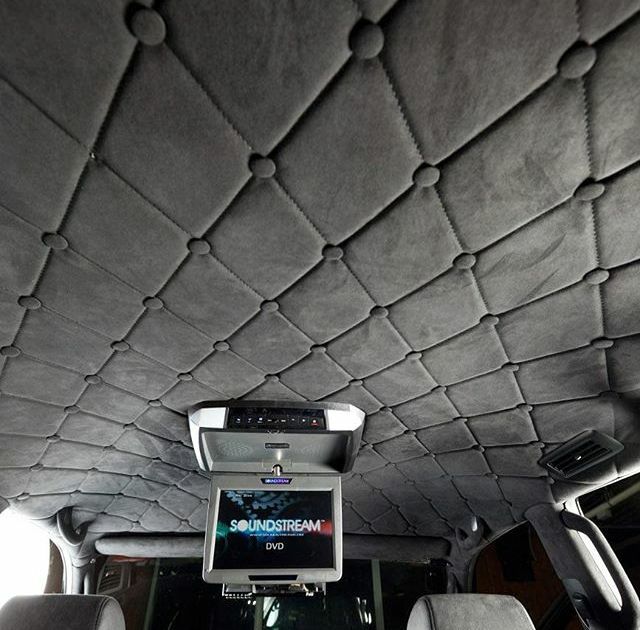 If you’re creative enough, you can turn a regular headliner into the focal point of an interior. That’s exactly what @bekleder did with this project. 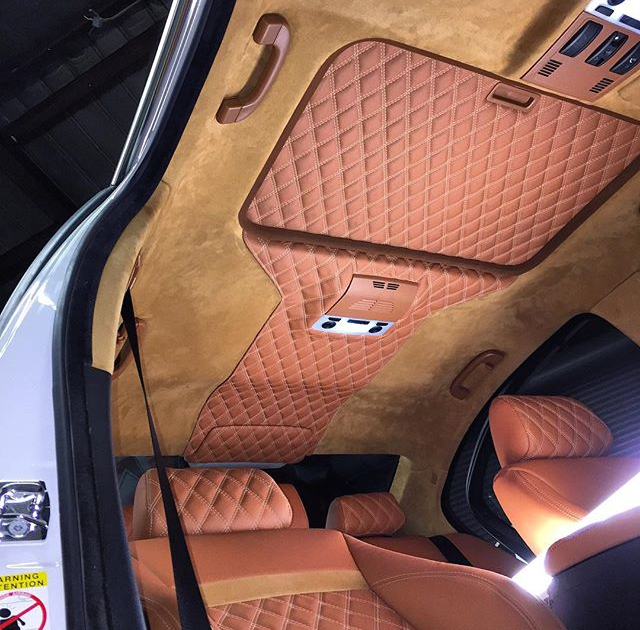 It features gray sued, white stitching and diamonds all over. 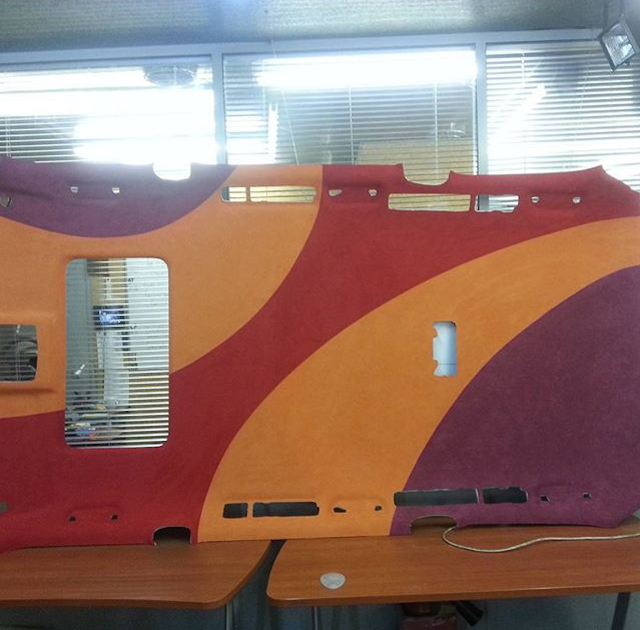 This multi-color headliner by @vasilieva.tatyana36 is one of our favorites. I’m not sure sure which was more difficult, creating the pattern and sewing it or gluing it in place so flawlessly. 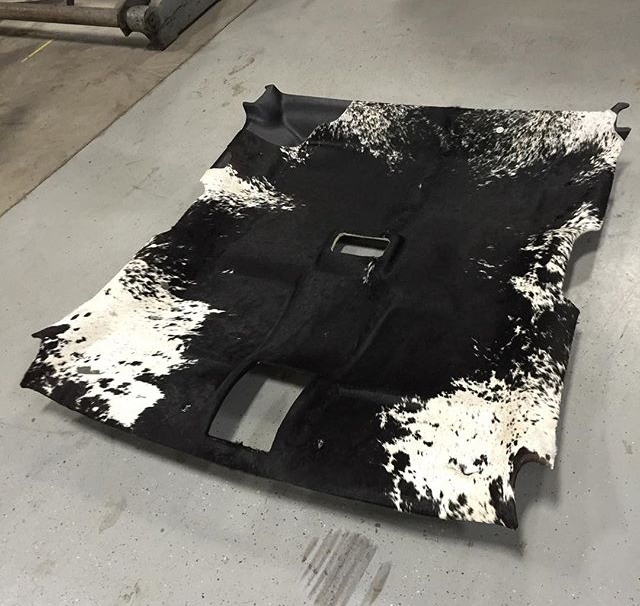 We’re in love with the look of this headliner board covered in cow fur. Hair on hyde is not an easy material to work with and the placement is dead on. Hats off to @brian_at_brs for the excellent work. It’s not just the stripes that set off this custom headliner by @incar_car_interior, but the French seams around the sun visor pockets. What an awesome touch! Anyone who has ever attempted to sew hexagon pleats knows how challenging it is to finish a small insert panel. To sew a piece large enough to cover a headliner is an incredible feat. 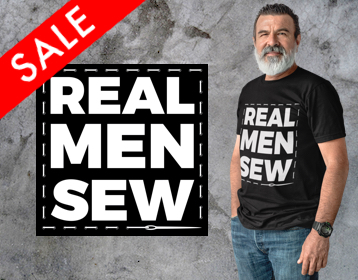 This project was completed by @davydovyinterior on an ordinary sewing machine. If you don’t believe us, check out this build photo. 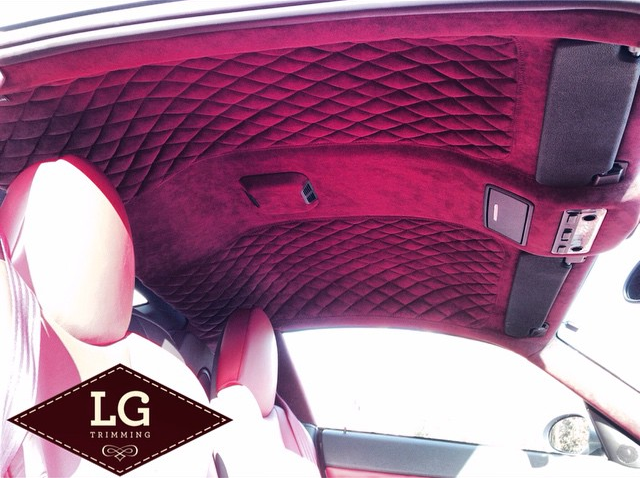 This headliner board was trimmed by @lawrence_lgt in oxblood-colored Alcantara and paired with matching diamonds. It’s absolutely stunning! 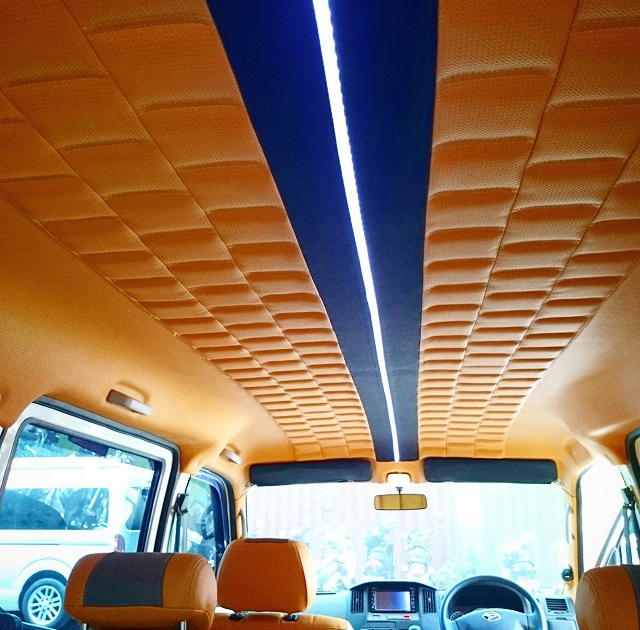 Another gorgeous custom headliner by @incar_car_interior. The length of the board, the offset square panels, and the LED light down the center…not an easy job. 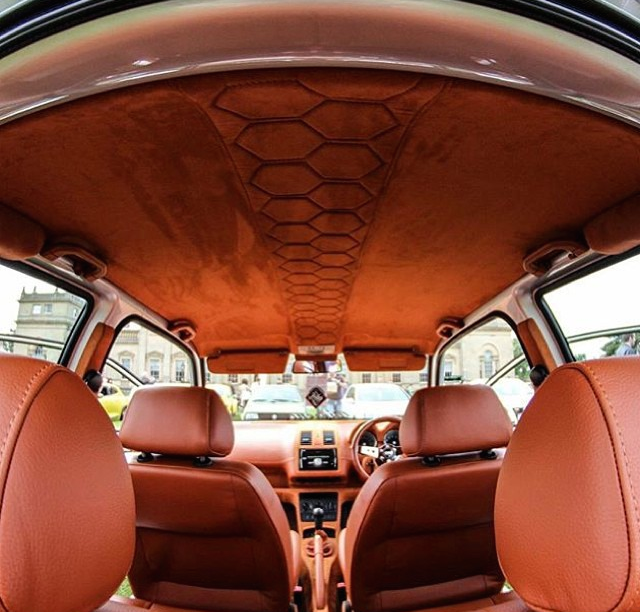 The hexagon stripe down the center of this headliner is an elegant touch that really sets off the project. Work by @inspire_automotive. How do you make a diamond-pleated headliner project even more difficult? Add buttons at every intersection like @vasilieva.tatyana36 did. 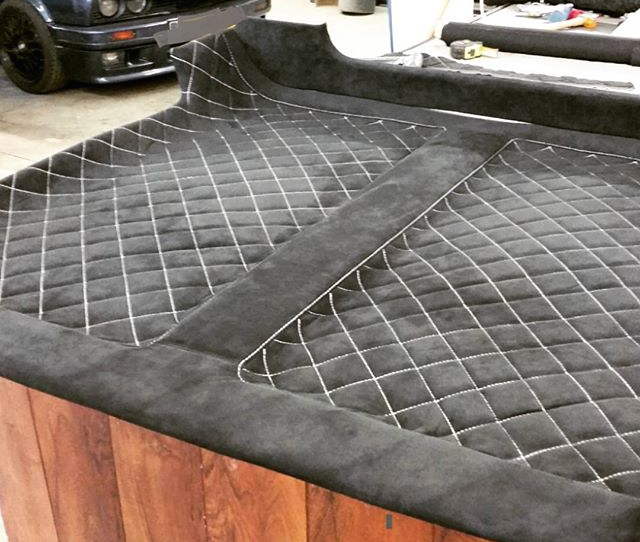 To see more jaw-dropping upholstery projects, check out The Hog Ring‘s “Upholstery Showcase” section. Also follow us on Instagram, where we share photos throughout the day! Hello, I have a 2000 Mustang GT with a 2001 Cobra swap done. I’m very interested in finding out if I can somehow put a 2014 mustang GTs interior in my car. Do you know if this is possible?